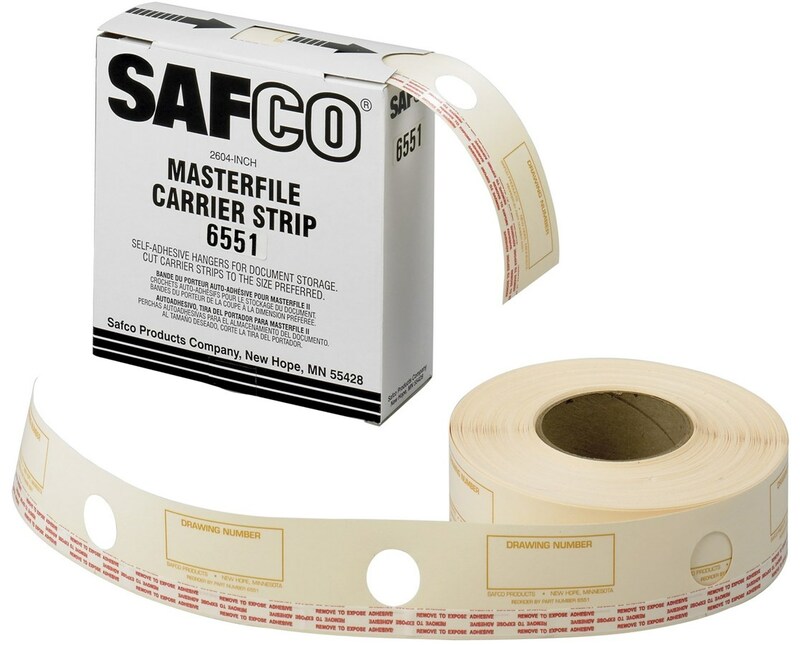 The Carrier Strips for Safco MasterFile 2 are self-adhesive pre-punched strips that are attached to files, allowing them to be hanged straight from the pins and posts MasterFile 2. It has holes that are 6½ inches apart to fit the MasterFile 2 models. 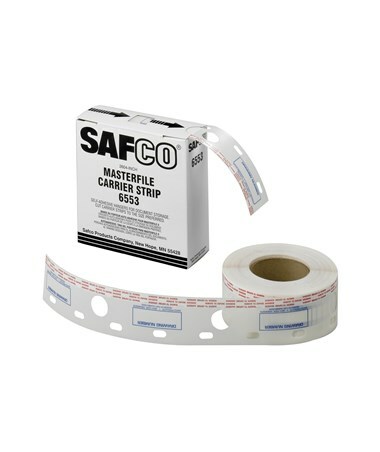 These carrier strips come in rolls 217 feet long and are enough to make 100 pieces of 24-inch strips, 80 pieces of 30-inch strips, or 50 pieces of 48-inch strips. 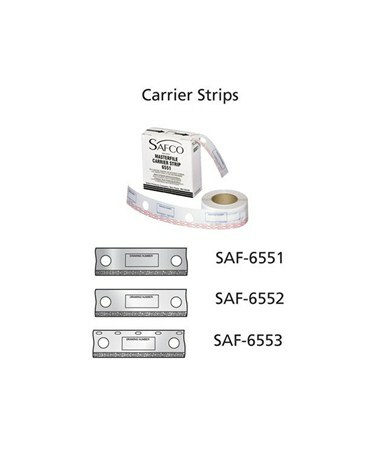 The length is not pre-cut to allow flexible strip sizes. 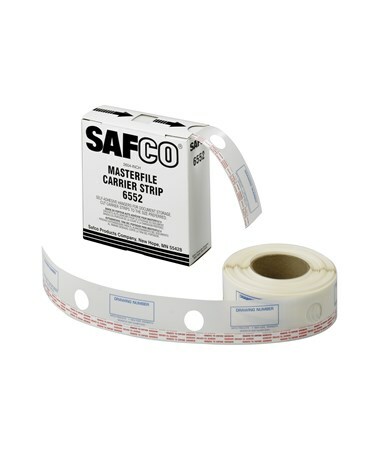 Preprinted identification blocks are also included to help label files in a more organized manner. The Carrier Strips for Safco MasterFile 2 offers three models for your storage needs. Please choose from the drop-down menu above. Width: 2 ½" or 2 ¼"